Plastiq is a third-party service provider that offers additional payment methods, including credit cards (similar to Paytm). You can link your credit card to your Plastiq account and get credit card rewards through Plastiq payment. Normally, Plastiq charges a fee of 2-2.5% for this service. Masterpass enables you to store and manage payment, shipping, and loyalty program information in your Masterpass Wallet. By adding your Masterpass Wallet to your Plastiq account, you are able to quickly and seamlessly submit payments without needing to re-enter payment details. From now until September 30, 2018, Plastiq will waive the Plastiq fee when you use Mastercard in Masterpass when paying with Plastiq. This promotion applies to any bills or invoices up to a maximum of $500 $250 each. This means any amount after the $500 $250 maximum will incur the Plastiq fee. 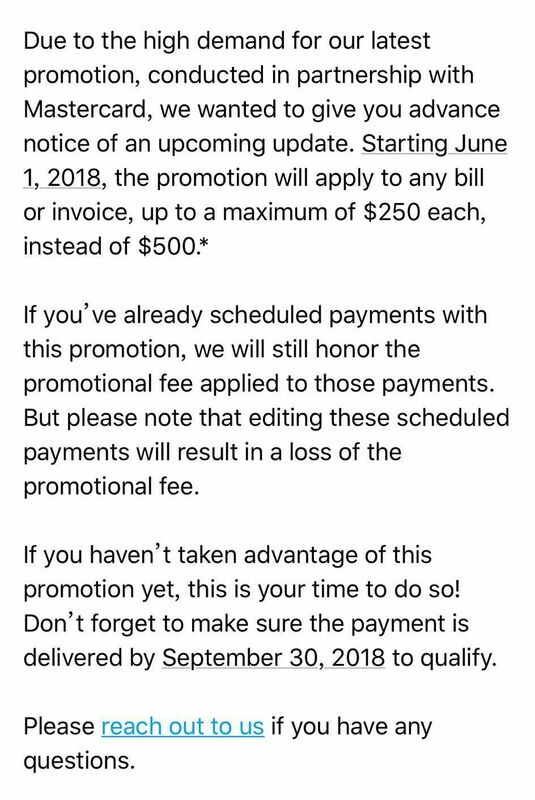 NOTE: To qualify for this promotion, payment must be submitted or scheduled on or after May 14, 2018 and the payments’ delivery date must be before or on September 30, 2018. Your card must be successfully billed by Plastiq and remain in good standing to qualify for a promotional credit. The promotional credit is non-transferable and may not be sold or bartered. 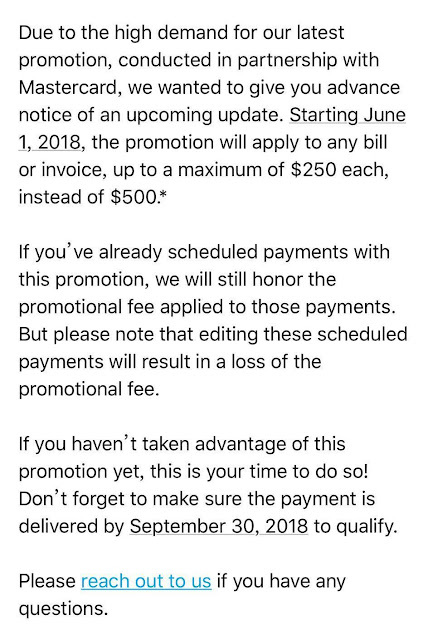 Promotion subject to change or cancellation at any time. Offer may be revoked at any time for any reason by Plastiq. Offer void where prohibited by law. Plastiq also has a referral program. Get rewarded in return for every person who registers with Plastiq via your referral link or code and they make payments totaling $500 or more (doesn’t have to be a one-time payment). For each awesome referral, you will be able to send $1000 through Plastiq without any fees (Plastiq called this FFDs: Fee-Free Dollars). That means if your next payment is $1000 or less, there will be no service fee, and any leftover credit will rollover to your next payment. If the payment is more than $1000, a service fee will only be charged on the dollar amount over $1000. Let's assume an average Plastiq service fee of 2%, then it means you can save $20 by one successful referral. You friend will get 500 FFDs (value of $10). These FFDs don’t last forever, though – your balance will be reset to zero 90 days after the last time you used or earned them. And for this Plastiq/Masterpass promotion, new users using a referral code must hit the required minimum of $500 in successful payments and receive the FFD credit before they are eligible for this promotion. Costco: Get $20 off when you pay with Masterpass.